Three great ASL Sign Language Dictionaries. Each with their own dialects, features and benefits. Find the one that best suits your needs or download all three. The best in mobile education. 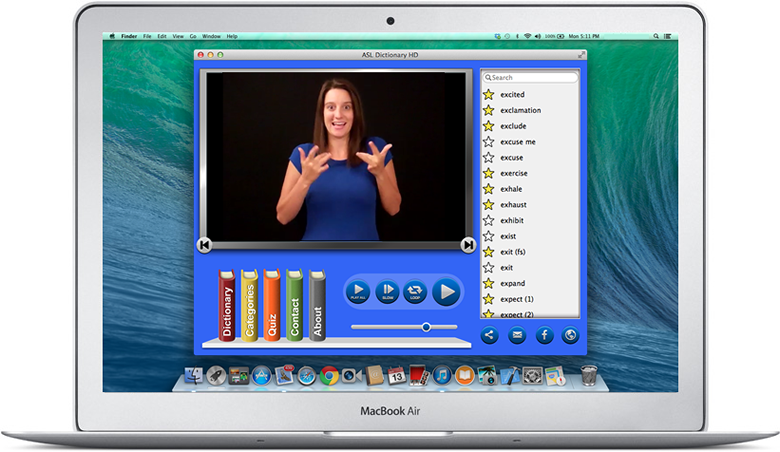 ASL Dictionary for Mac. Over 5200 ASL Videos loaded with all our latest features including quiz, play all, adjustable slow motion and favorites. 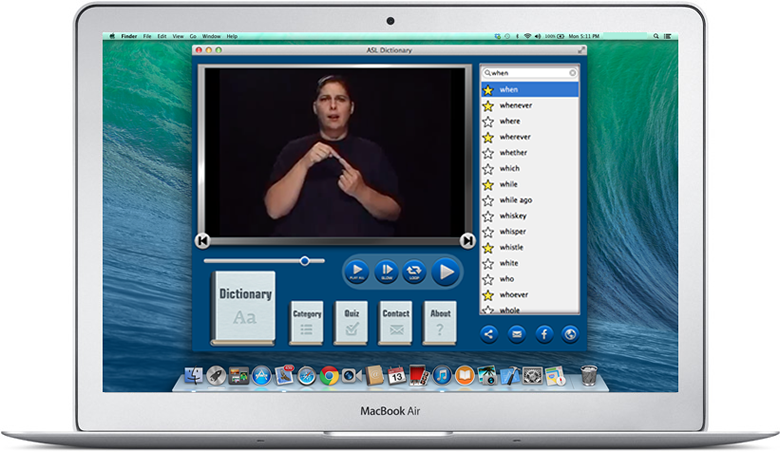 ASL Dictionary HD for Mac. 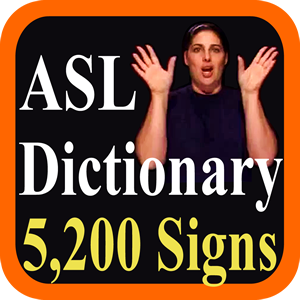 Our latest ASL Dictionary App over 5000 ASL videos now available for your Mac. The ASL Dictionary everyone wants. Completely updated and improved. 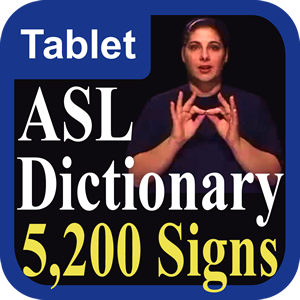 Over 5000 words translated to ASL Videos. 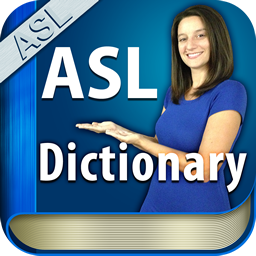 ASL Dictionary is our classic Sign Language Dictionary app. At less than 1mb in file size it won't take a lot of space on your device. Our customers love this app because it's very expansive and easy to use. Swipe video screen for next and previous sign. 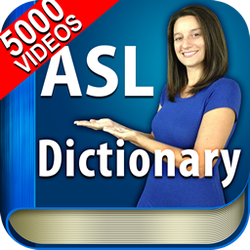 The same great videos you know and love from our phone ASL Dictionary version made specifically for iPad * Tablets. No internet required. Made for the classroom.